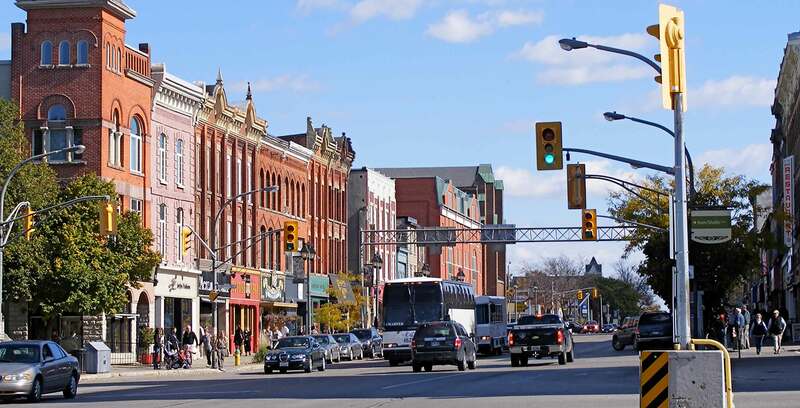 Ontario’s City of Stratford has announced that it is moving forward on a joint pilot project with eleven-x, FoxNet and Canada’s Open Data Exchange (ODX) that will help track usage of municipal parking spaces. The city says this information will eventually be released to the public. The smart parking initiative uses sensors embedded in the asphalt that send signals to a low power wireless network and indicate whether vehicles are parked in certain spaces. Following approval by the Stratford City Council in the fall of 2017, a total of 78 parking sensors (also called “pucks”) were installed along the streets of Wellington, Downie and Albert. Once connected to eleven-x long range wide area network’s (LoRaWAN), the sensors can provide real-time communication of available parking spaces. The eleven-x network securely captures the data, which is then interpreted and graphed by software provided by FoxNet. The City says it will use this data to better understand parking patterns in Stratford. Open Data’s platform will be used to share this information with the public. According to the City, ODX is providing funding of $50,000 toward the $100,000 project, while the City’s parking reserve fund will cover the remaining expenses. “This is another example of how Stratford is on the leading edge when it comes to the innovative use of new technologies,” said Stratford mayor Dan Mathieson in a press statement. The City says the smart parking pilot project will run until the end of 2018, while data is expected to be shared with the public later this year.